Do you know a college-aged student that is interested in pursuing a degree in environmental science? There are many scholarship opportunities available for environmental-related programs! Your kids or grandkids can have a variety of career options with an environmental degree and the Bureau of Labor Statistics projects an increase in certain types of jobs in these fields. We’ve compiled a list of websites that focus on environmental scholarships. Texas A&M University: If you see yourself as a potential Aggie, the College of Geosciences offers over 80 scholarships ranging from $500 to $4,000 per year to qualified applicants. National Oceanic and Atmospheric Administration: NOAA offers the Ernest F. Hollings Undergraduate Scholarship, and awards internships to students who are interested in oceanic,atmospheric and environmental careers. They also have a large listing of other student programs that include scholarships and internship programs. Be aware that this opportunity closes on February 15, 2019. Texas Tech University: Students headed to college in Lubbock may want to use Texas Tech University’s scholarship search site to find environmental scholarships. Simply type “environment” into their search engine to display a list of scholarships and their application deadlines. University of Houston: The University of Houston offers a large number of scholarships for students enrolled in their Department of Civil and Environmental Engineering school. University of Texas at Arlington: For those who are thinking about attending the University of Texas at Arlington, their Department of Earth and Environmental Sciences offers scholarships for undergraduate geology majors. West Texas A&M University: West Texas A&M University has compiled a large number of scholarships in the environmental sciences. They list non-profit, government, and private scholarships that are all geared towards the study and pursuit of environmental sciences. Texas Comptroller of Public Accounts: The Texas Comptroller of Public Accounts houses a large list of scholarships on their website. Although not all are environmental, some scholarships include “Don’t Mess with Texas,” the “Washington Crossing Foundation” for those wanting to enter government service, and the “Texas Floral Endowment” for those interested in entering the field of horticulture or floriculture. 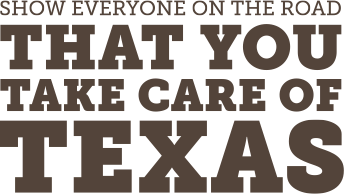 Texas Environmental Health Association: This organization promotes the Burl Cockrell Memorial Scholarship Award to support a student whose major course work is in environmental or public health. College of Natural Sciences awards a multitude of scholarships to students each year. The College looks at a variety of factors such as merit, leadership, and/or need when making scholarship decisions. Cockrell School of Engineering awards scholarships aimed at recognizing the academic achievements and leadership potential of future students, current students, transfer students, international students, and out-of-state tuition waivers. Jackson School of Geosciences provides financial assistance to its undergraduate and graduate students through funds established by individuals, foundations, and industrial or research organizations. College of Liberal Arts has a long list of very specific scholarships. They include merit scholarships, research scholarships, study abroad scholarships, and many more. Look carefully into them all to find out which ones might be right for you. The U.S. Department of Labor sponsors an online tool that allows you search more than 8,000 scholarships, grants, and other financial aid award opportunities.